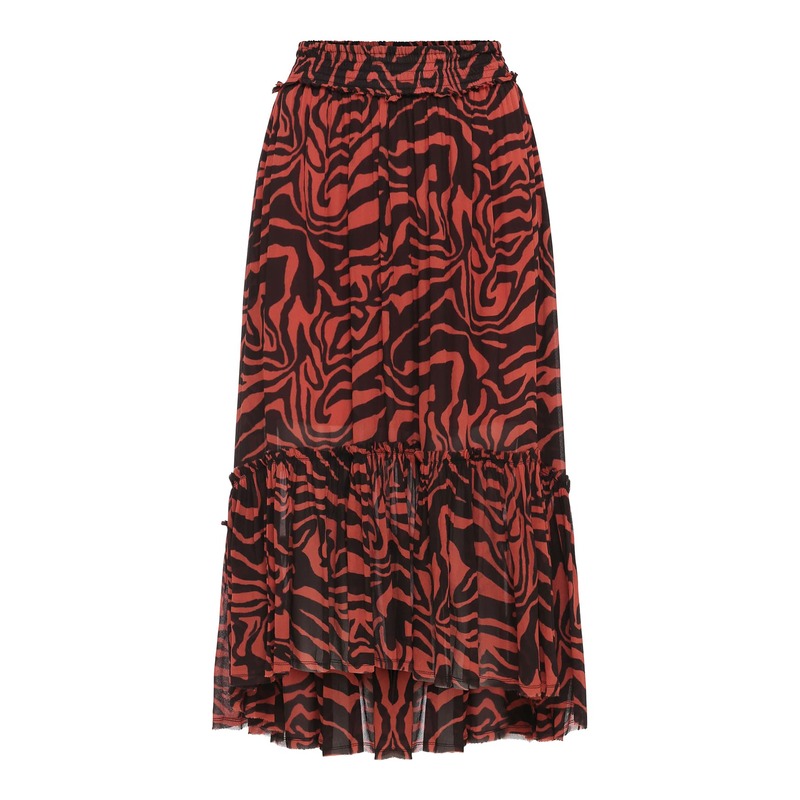 Jeannet Skirt Red Safari Animal Print - A chiffon tiered skirt in a lightweight fabric with a flowy silhouette. Elasticated waist - higher to the front then the back frill at end - partially lined. Matching Ira shirt available to create a complete outfit.